On Monday I’ll start teaching my last course here at Berkeley. It’s a reading and composition course–so its main goal is to teach first and second-year undergraduates the skills necessary for reading, writing and doing research at the college level–but within that overall goal individual instructors get a huge amount of leeway in picking the course theme. My course will be “Writing Police Power” and I’m pretty excited by it. You can see a copy of the syllabus here. 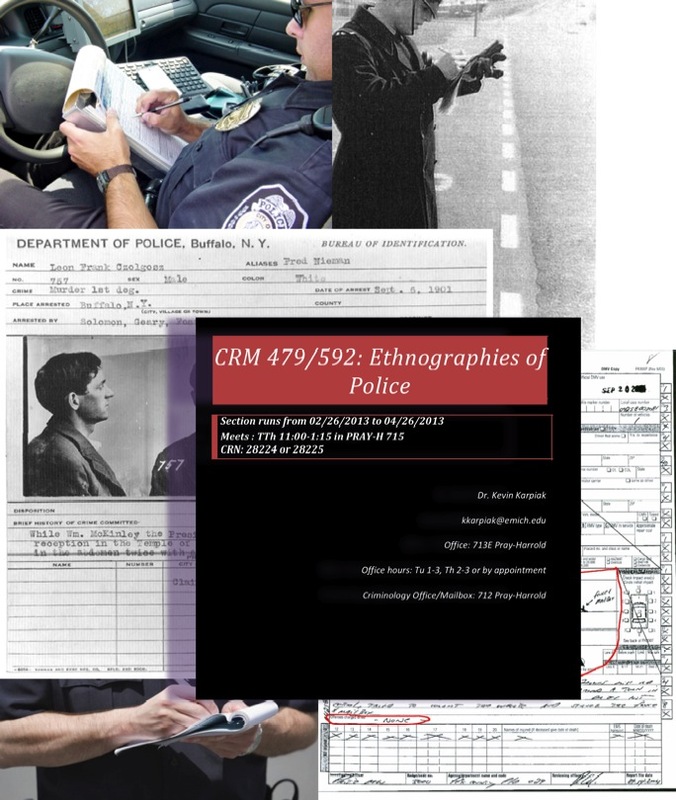 the basic premise of the course is that writing about police, across a variety of genres (including urban ethnography), is a way of writing about power. This is also the thesis of an article I’ve written, currently under review by PoLAR, but the main point for the students here is to get how different representational strategies couch within theme theories of power–a skill they’ll need if they’re going to be critical readers of ethnographic texts for upper division courses. If anyone’s in the Chicagoland area next week, I’ll be presenting a draft of my upcoming article “Electric Burns: the banlieue riots and the problem of a post-social police in France” (see details below) so that all the smart people over at the University of Chicago’s Anthropology of Europe Workshop can comment on it and be otherwise helpful in its development. Email me or Owen Kohl to get a draft of the article; it will be assumed you’ve read it beforehand.